Style matters a lot especially in these days when people are very crazy about showing off; Lenovo has a product Lenovo Vibe S1 in Middle-lower price range with very elegant eye-catching look, this handset has specs like Mediatek 1.7 GHz processor, 5.0 inches IPS display, 13 MP rear and 8+2 MP front camera (Total 3), 32 GB ROM & 128 GB External SD card support, 3 GB RAM and 2420 mAh battery. 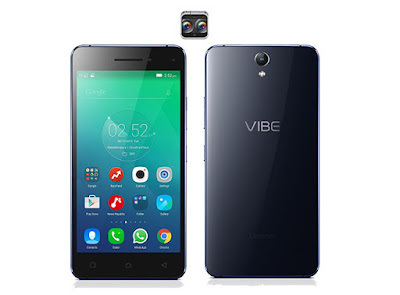 Here we will have Short review, Pros and Cons of Lenovo Vibe S1. The phone is built on plastic having metallic frame, the Corning Gorilla Glass is not only protecting the display; it is also covering the back side plastic; adding the shiny effect on phone. With 7.8 mm of the thickness handset is quite slim, although the glass makes rear side slippery in hands. Power and volume keys on the right, the USB port and speaker grilles at the bottom, the SIM tray on the left, and the 3.5mm socket at the top. The Lenovo made a quite well 5.0 inches LCD touch screen configured with resolutions of 1080 x 1920 pixels and 441 ppi of display density. The colours are not vibrant as AMOLED display; it is more like showing natural colours. Display colour and brightness management is balanced neither too sharp nor too dull. You can entertain yourself with wider viewing angle. Let’s move to camera as it is preloaded with 3 camera, 1 in rear and 2 in front side. The rear camera is performing quite crisp as the details of the picture quality doesn’t loss significantly even after zooming, and the dual camera able to snap satisfactory pictures works on the basis of on-depth; as they can capture double layer photographs. Handset is powered with Mediatek MT6752 processor having 1.7 GHz clock speed; this processor configuration along with 3 GB of RAM provides smooth linger free user experience. You can easily access multiple applications as this phone has great capability of multitasking. On gaming side this handset able to run all the heavy games. For the power source it has 2420 mAh battery which doesn’t seem sufficient but it can run device for nearly 1 full day; means if you are charging your handset in morning you again need to plug-in charger in night for moderate-heavy user. For the protection Gorilla Glass 3 covering front display and coloured panel. Awesome stylish design and built quality. Dual front camera works well and innovative. Cons of Lenovo Vibe S1. Battery is non-removable with Average backup. Although back is also made of Gorilla glass which is slippery and prone to accidental fall. Doesn’t have LED notification light and backlit. Unable to use WhatsApp and Facebook messenger on mobile data. Power Management setting > Background Data > tick the apps that you need.